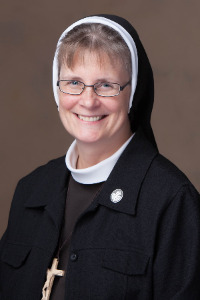 Sr. Maria Louise Edwards is an annually professed Felician Sister. She currently serves as the Assistant Program Director of the Angela Spirituality Center, which serves those living in poverty and the marginalized in Pomona, California. Read below as she relates her story of how she came to discern a vocation as a Felician Sister. After I graduated from NYU with a BFA in Theater, I acted in theater, commercials and small roles in films. It was what I wanted, what I thought would give me joy, but instead I found myself asking, "Is this all there is?" I was following the world's advice on how to find happiness, and I was still empty inside. I began searching for deeper answers and longing for deeper meaning in my life. A short time later, at a prayer meeting, I had a deep experience that God loved me personally. All my intellectual understanding of God, became an experience of His love. I fell in love with God, and began praying at the Felician Sisters' chapel nearby. 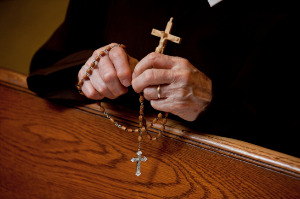 Before long, I discovered that the Franciscan spirituality of Sisters was already within me. I didn't have to make it fit. And I was drawn to their devotion to Mary, the Eucharist and the Magisterium of the Church. Shortly after entering community, I remember recognizing that I had encountered kindred spirits. I felt as if before I was an alien, and now I had found my people. My friends hadn't shared my desire for a deeper relationship with God, and while they were supportive, they also drifted away somewhat. Living with other women, who are committed to a life consecrated to God, has blessed me in ways I never expected. I realize now that no one grows personally or spiritually in a vacuum. We need others. I needed the sisters. 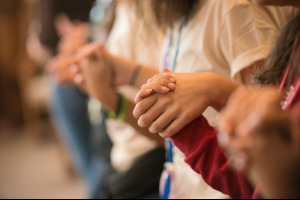 They pray with me, support me, and challenge me to give my life more fully to God. 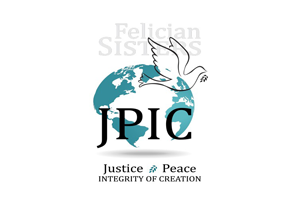 Before entering the Felician Sisters, my understanding of God was private and personal. Since then, God has been expanding my heart to include those who are poor, on the margins, and forgotten. God comes alive with each encounter. I'm learning to love Him in and through others, and I feel profoundly blessed and privileged to be a Felician Sister.